Sweating olive oil on a hilly dirt road in northeast Thailand, Jordan Coe was a young man on a mission. The nak muay farang (foreign kickboxer) from Falkirk via Glasgow in Scotland had to bust 3kgs in weight for a bout the very next day in Korat. The 20-year-old kid fighter, who boxed out of the Lamnamnoon Sor Sumalee Gym in Ubon Ratchathani, regularly competed at 64kgs. Now the young colt had to slim down pronto for a ruck with hard-as-nails Cambodian boxer Khon Bola at 61kgs. Losing weight fast is a simple yet grueling routine for a nak muay, farang or otherwise. But Jordan was a consummate pro, one who’d been living and fighting in Thailand for the last three years. The “dancing boxer” had been up-and-down this rocky road on countless Saturday mornings in the past. The mercury hit 86°F (30°C) on the thermometer, but neither dizziness nor fatigue nor gloom could stay the 70-fight veteran from the swift completion of his appointed task. Hot or not, and bundled up in a weight shifting sauna suit, the thick-skulled Jock was used to getting up first thing and hitting the road to run alone. And give or take the vast difference in temperature, and the harsh lamp of the Thai sun, the steep dirt roads were just as tough as the cracked pavements and tumbledown streets of Falkirk or Glasgow back home in bonny Scotland. Jordan wasn’t some wanderer from the drove roads in over his head. Nor was he the type to mix with bar girls and engage in lewd behavior with the wrong crowd. Jordan was tied-up there to the scene: the Muay Thai boxing scene. 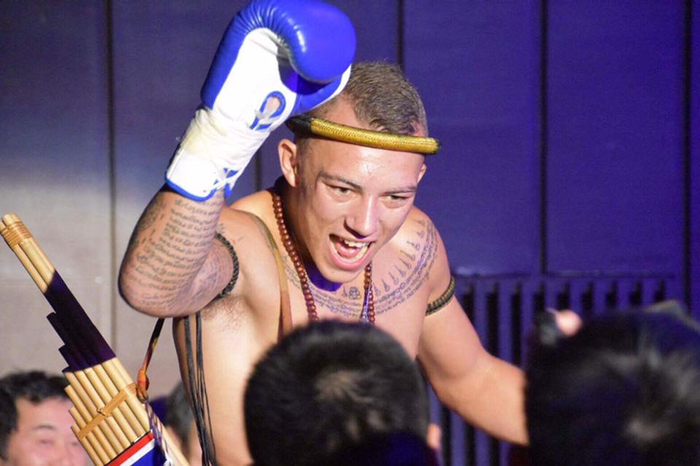 The locals knew who he was, knew what he was up to, and they knew full well that the nak muay farang from Scotland was a gallant knight from a distant land. This place was his home away from home and he was living the nak muay dream. 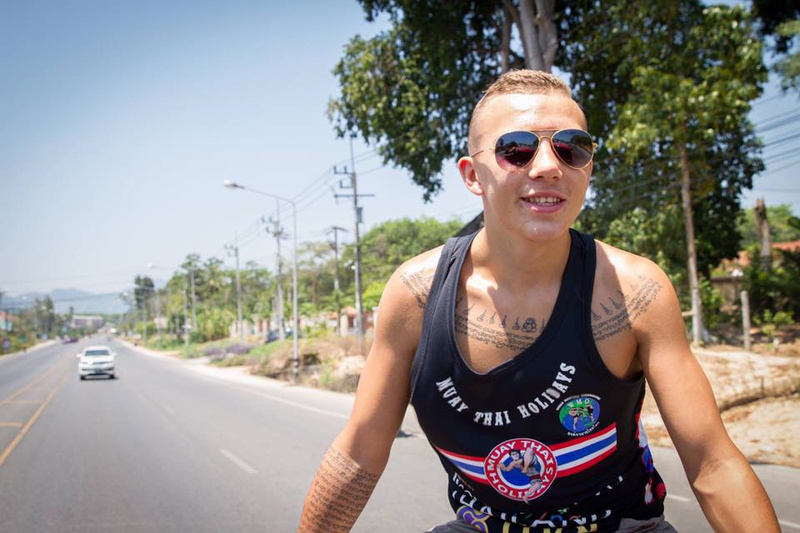 He’d left Scotland, aged 17, and was growing to manhood via the pro fight circuit in Thailand and South East Asia. How many schoolboys from the decadent West do that? Zilch very much. Living in Thailand, Jordan went native. Proper loco native. Riddled with voodoo tattoos, and in lieu of bagpipes, the young Scot was keen on playing the khaen, a Thai/Laotian woodwind instrument made out of bamboo. And the “dancing boxer,” famous for his ring entrances, had even taken to wearing Thai tartan—which is every bit as gaudy as some of the tartan back home in Scotland. But living in the “Land of Smiles” does that to a nak muay farang. It’s different for us. You become part of the place and the place becomes part of you. It’s a slow metamorphosis and you can’t help but roll with the changes. You are in situ, absorbing the lingo, customs, charms and quirks of the host culture; much more so than being embedded in this alien environment as a diplomat, foreign correspondent or sexpat businessman with an inappropriately aged Thai wife called Superporn. The mission to lose 3kgs was never accomplished. Jordan didn’t return from his morning roadwork. 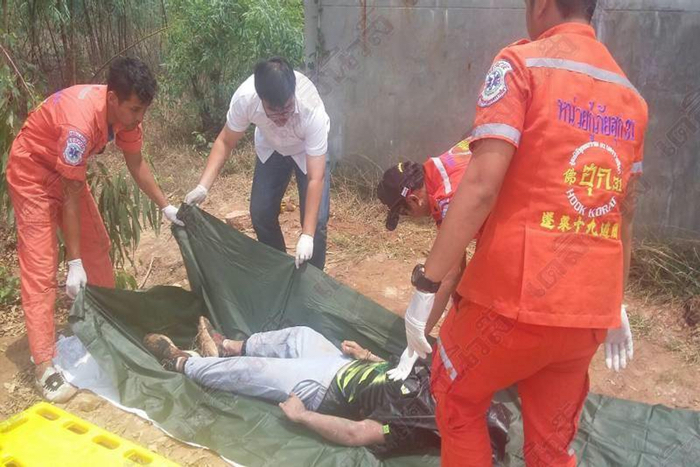 Suddenly and mysteriously, he died from a knock out combo of heatstroke and dehydration on a brushy hillside track in the Muang district of Nakhon Ratchasima. His body lay undiscovered for some hours and the soles of his running shoes were caked in the browny-reddish dirt of the Thai countryside. A nak muay farang is not safe out alone anymore. Just what in Sam Hill happened out there in the boondocks? With a paucity of solid facts, and eyewitnesses, it has prompted many a tongue in Muay Thai circles to bash the pads. Why was he running alone? Why in the morning when it's so hot? Why so long before they found him? Some armchair pathologists, in day-glow satin boxing shorts, blame a fatal combination of things that led to Jordan’s death sweat. Running alone in the swell of the Thai heat bundled up in thick clothing or a silver cosmonaut “sauna suit” is one. The other is fighting folk, boxers and trainers alike, being blasé about water intake. This is pertinent because the Scottish boxer spoke on the record about not taking water for four days to make weight for bouts in the past. And then there’s something else. Cutting all fluid intake doesn’t tally with another detail in the story of Jordan’s untimely death—one that concerns M-150, the sickly, yellow, caffeinated energy drink beloved of fight sponsors and narcoleptic Bangkok cab drivers. Jordan allegedly necked two bottles of the gunk before he hit the road. This is significant. 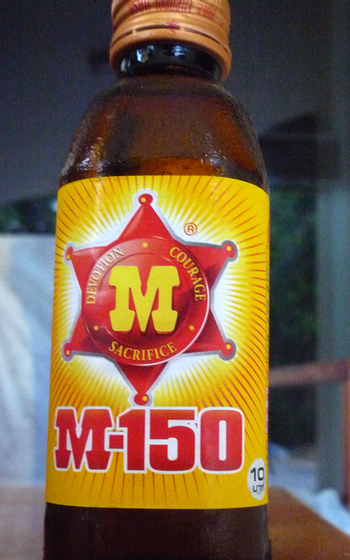 With 9.46mgs of caffeine per fluid ounce in each bottle, M-150 is notorious for aggravating dehydration. No wonder it’s hard to buy the best selling energy drink outside of Thailand. Back in the UK, Jordan’s death got a lot of publicity in the broadsheet and tabloid press because British farangs often die in Thailand. In fact, for a UK citizen, like Jordan, Thailand is considered one of the most dangerous tourist destinations in the world. More Brits die in Thailand in mysterious circumstances than in any other country in the world. The Thai Tourist Office internationally promotes the exotic kingdom as “Amazing Thailand,” but for Brit visitors, like Jordan from Scotland, shouldn’t that be amended to Amazing Dieland? Cheap jabs aside; death on sporting duty is not just a Muay Thai or fighting arts thing. It brings to mind all of those old stories about horse racing jockeys wasting away the weight only to be found as dead as Shergar in the sauna or steam room by the cleaners. Not to mention mountain climbers, who ascend peaks too quickly and die from altitude sickness. People in risk-taking sports activities perish all the time. You might call it bizarre behavior or a psychic disorder, but it’s a risk that they are willing to take. Jordan in his thick sauna suit, running in the heat of the Thai morning, was used to crossing the line and piercing the void. The “dancing boxer” was prepared to run though nausea, fatigue and dizziness to fight the following day. He was toughing it out and doing his duty. He was a pro and he went out like one, too. That’s the heroic anthem for the death of a nak muay farang. But the fact of the matter is simple. People don’t listen to their own body. Ignoring fatigue, injury, pain, dizziness, nausea, and depression very often goes with the territory. So does making weight at notice. Jordan was going about business in the prescribed Thai manner. He was following gym protocol but sometimes gym protocol is an occupational hazard. The locker room is full of skeletons. It happens to Thai fighters all the time but you never get to hear about it in the West. The sorry tragedy is that the cycle will continue until people, trainers and boxers alike, clue themselves up about the thin-line dangers of dehydration and heat exhaustion. Two weeks ago, Jordan Coe went to do his roadwork and never came back. 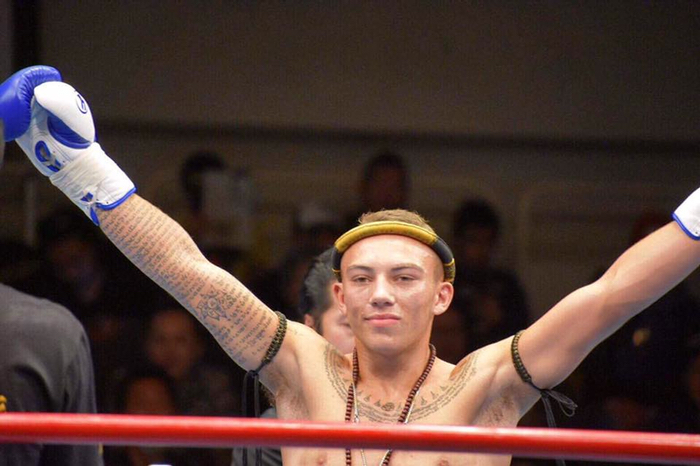 The nak muay from Scotland died a young man’s death in a faraway place. The rest of us scratch our heads and live to decay.